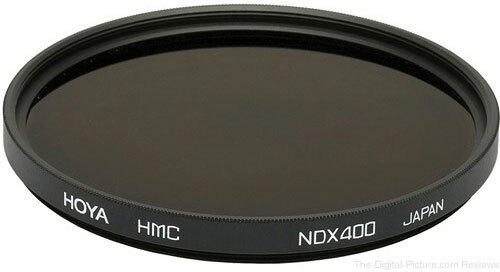 For a limited time, B&H has the Hoya 58mm NDx400 9-Stop HMC Filter available for $24.95 with free shipping. Regularly $44.95. 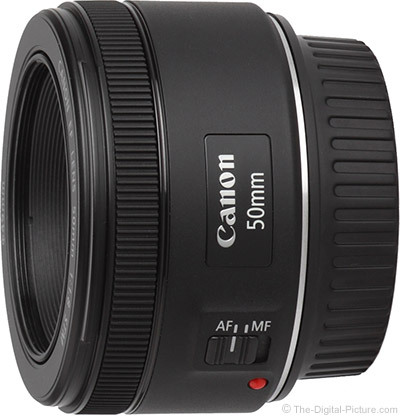 Image quality results have been added to the Canon EF 50mm f/1.8 STM Lens review page. We know that this lens has the same optics as the Canon EF 50mm f/1.8 II Lens. Here is the Canon 50mm f/1.8 STM compared to the 50mm f/1.8 II. Look at this lens' image quality at f/4 and then look at the price tag. Very nice. B&H has the Canon EF 50mm f/1.8 STM Lens in stock. The codec now supports NEF (RAW) photos shot with the D810A and Nikon 1 J5. Fixed issue in which NEF (RAW) images could no longer be displayed after file info had been edited in the “Details” tab of the Explorer “Properties” window. Petzval 58 Art Lens to Bring Photographers Variable "Swirliness"
Using the Bokeh Control Ring on the New Petzval 58, you’re totally free to determine the strength of the swirly bokeh in your photos. You can now get the characteristic swirly bokeh effect in ways it has NEVER been possible before. This revolutionary component is the first of its kind on a Petzval lens! The New Petzval 58 Bokeh Control Art Lens has a maximum aperture of f/1.9 and is a 58mm lens, which is a fantastic all-round focal length for portraits, landscapes and photos of your cat doing jumping jacks. We promise you will love shooting every scene with your New Petzval 58 in hand. 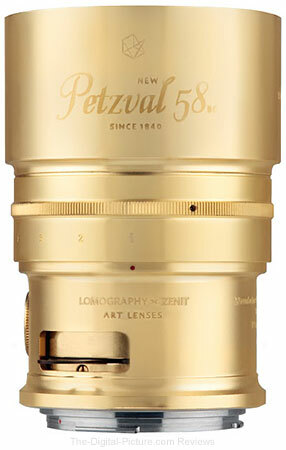 The New Petzval 58 Bokeh Control Art Lens features the finest quality Russian glass optics. Available in a brass or black finish, it’s designed to perfectly mirror the look of original 19th century Petzval lenses. Joseph Petzval invented his revolutionary Petzval optic in 1840 — a hugely popular portrait lens that changed the world of photography. Now, 175 years later and building on our success with the Lomography New Petzval 85mm Lens in 2013, the New Petzval 58 Bokeh Control Lens is here to join the growing Lomography Art Lens Family. The lens has been specially developed to work with modern analogue and digital cameras and is available in Canon EF and Nikon F mounts (it’s also compatible with multitudes of other cameras such as the Sony A7, Fuji X-Pro 1 and Micro 4/3 Cameras using adapter mounts). For more info, check out the Lomography Petzval 58 Bokeh Control Art Lens Kickstarter Campaign. Permalink: Petzval 58 Art Lens to Bring Photographers Variable "Swirliness"
"This year marks the 10th anniversary of the EOS 5D DSLR series cameras and to celebrate the occasion, we've rounded up some helpful tips, tricks and tutorials related to this impressive series that can help you take your imagemaking skills to the next level"
John Pope on filming "Blood Brother"
B&H carries the 5D Mark III and has the 5Ds / 5Ds R available for preorder. Image quality results from a second lens have been added to the Tamron 28-300mm f/3.5-6.3 Di VC PZD Lens review page. The results from the first Tamron 28-300 VC we tested were ... not good. The second lens is "clearly" superior to the first and the results from this lens are now shown as the default sample "1". Here is a comparison between the two Tamron 28-300mm VC PZD lenses. Here is an interesting image quality comparison: Tamron 28-300mm VC PZD Lens compared to the Canon 28-300mm L IS Lens. Specifications, measurements and standard product images along with a variety of on-camera imagery are also now available for this lens. 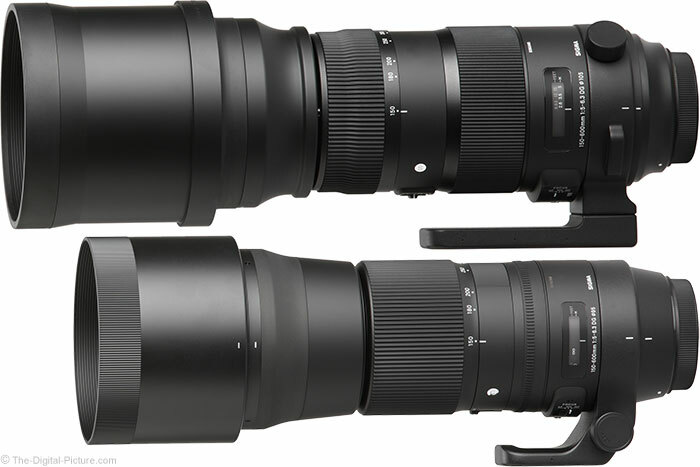 Here is an interesting size comparison: Tamron 28-300mm VC PZD Lens vs. Canon 28-300mm L IS Lens. The price differential is nearly as large. B&H has the Tamron 28-300mm f/3.5-6.3 Di VC PZD Lens in stock. MELVILLE, N.Y., May 27, 2015 - Canon U.S.A., Inc., a leader in digital imaging solutions, along with Ron Howard (two-time Academy Award Winner) and Josh Hutcherson (star of "The Hunger Games" franchise), have announced the names of 15 finalists in the Project Imagination: The Trailer contest. The contest, which drew a flood of submissions, encouraged people of all skill levels to turn their photos and video footage into movie trailers with titles, Hollywood style voice-overs and epic soundtracks. The public is now able to vote through June 10 on the 15 finalists at imagination.usa.canon.com and then Ron Howard and Josh Hutcherson will select one winning trailer based on its overall impression, inspiration and imagination. The film is set to go into production this summer and will be written and directed by Kat Candler ("Hellion"). "As a veteran filmmaker, I appreciate the value of edge-of-your seat creativity in filmmaking, and that's what Project Imagination: The Trailer is all about," said Howard. "Josh and Kat are the perfect complements to what's sure to be an exhilarating exploration into the inspirational value of trailers." "What's most exciting about this process is that I don't know what to expect," said Hutcherson. "We were thrilled by the number of truly creative trailers that were submitted," said Yuichi Ishizuka, president and COO, Canon U.S.A., Inc. "And, we know that Ron, Josh and Kat will honor the power of everyday moments to inspire something really fascinating." JR Poli of North Lauderdale, Fla., with "Everything is Mean"
Anna Fuller of Louisville, Ky., with "A Reader and a Writer"
Jan Garcia of Union City, Calif., with "The Life and Times"
Ben Alagna of Los Angeles, Calif., with "Siren"
Ryan McDowell of Campbell, Calif., with "Borderless"
Mina Park of Los Angeles, Calif., with "Calling Card"
Rachel Bingham of Sandy, Utah, with "Ninja School"
Zack Murray of Odessa, Fla., with "Spin"
Jonathan Spencer of Charleston, Mass., with "The 18-Hour Proposal"
Matt Sconce of Oakhurst, Calif., with "The Hunt"
Ryan Lawson of Chicago, Ill., with "Bubbles"
Giordan Moore of Springfield, Mass., with "The Clumsy Shoveler"
Marc Geiger of Lancaster, Calif., with "Stuck"
Mark Mukherjee of Tampa, Fla., with "Tainted Water"
Nic Thorson of Sherman Oaks, Calif., with "Project Six"
TOKYO, May 28, 2015 — Canon Inc. announced today the celebration this year of the 10th anniversary of the introduction of the Company’s EOS 5D series of digital single-lens reflex (SLR) cameras. 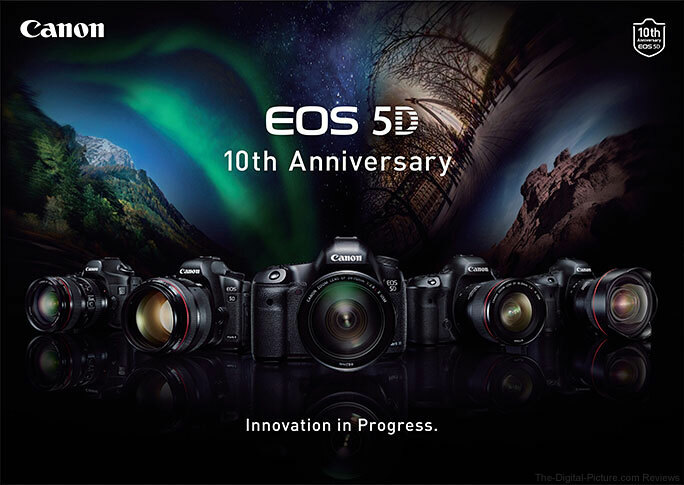 Launched in September 2005, the EOS 5D enabled advanced-amateur users to take advantage of the impressive high-image-quality performance and photographic expression unique to digital SLR cameras equipped with a 35 mm full-frame sensor, which, at the time, primarily targeted only professional-level users. Update: Check out the B&H Explora article covering the 10th Anniversary of the 5D series cameras. MELVILLE, NY – On June 4 and June 5, Nikon will bring the Nikon Wedding Truck Studio to New York City Hall (Office of the City Clerk), offering couples getting married the timeless keepsake of amazing images to help commemorate the start of the next chapter in their story together. Nikon is working with famous photographer and Nikon Ambassador Joe McNally to convert a truck into a fully functional photo studio, where couples getting married at the Office of the City Clerk that week are invited to get a professional portrait session at no cost. The Nikon Wedding Truck Studio is part of Nikon’s “I AM Generation Image” Campaign, which inspires people to make their stories stand out through incredible imagery. Nikon will provide participating couples with high-quality portraits to keep and share with friends and family to remember their wedding day. McNally will be shooting with the Nikon D750 DSLR camera, NIKKOR lenses and Nikon Speedlights, giving couples the highest quality images as wedding-day keepsakes. The event will take place on June 4 and June 5 outside of the Office of the City Clerk, near 141 Worth Street in New York City. The portrait sessions will be free of charge, provided on a first come-first serve basis. Couples will leave with their images so that they can be shared with their loved ones. Participating couples must have a valid New York State marriage certificate validating that they were married at City Hall during the week of June 1 to June 5 2015. B&H carries Nikon DSLR camera equipment. 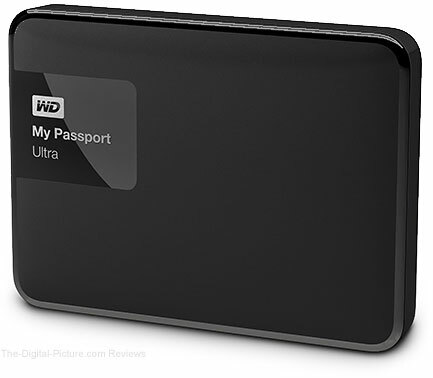 IRVINE, Calif. – May 27, 2015 – WD, a Western Digital (NASDAQ:WDC) company, and world leader in storage solutions, today introduced the new, redesigned My Passport Ultra portable hard drives and My Passport for Mac drives. With the My Passport line now in its 7th generation, the My Passport Ultra and My Passport for Mac portable hard drives are now available in capacities up to 3 TB1 and in four stylish colors2 - Classic Black, Brilliant White, Wild Berry and Noble Blue. WD is also introducing a new optional accessory – WD Grip Pack – a soft band, available in a variety of colors, which encircles the drive, offering consumers an easy way to personalize their My Passport drives. My Passport Ultra portable drives come in 3 TB, 2 TB, 1 TB and 500 GB capacities and feature 256-bit AES hardware encryption3 – delivering a high level of security with no impact to write-speed or CPU activity. If your My Passport Ultra falls into the wrong hands, the 256-bit AES hardware encryption protects users’ files, folders, photos, videos and music with a password known only to them. USB 3.0 compatibility provides fast data transfer rates of up to 5 gigabits per second, while being backwardly compatible with USB 2.0. My Passport for Mac portable drives are available in capacities of 3 TB, 2 TB, 1 TB and also feature 256-bit AES hardware encryption with USB 3.0 connectivity. Sold separately, the WD Grip Pack accessory for My Passport Ultra is available in five colors (smoke, slate, grape, sky and fuchsia) and, when wrapped around one of the four colors of My Passport Ultra drives, enables consumers to create a total of twenty possible color combinations. The WD Grip Pack comes with a color-matched 18-inch flat USB 3.0 cable, creating a stylish complete solution. My Passport Ultra’s built-in WD Backup software is a simple-to-use application with focus on reducing frustration when setting up a backup plan to preserve data. Since 31% of devices have had malware at some point, having your data safely backed up onto a secondary device like a My Passport drive is critical to preserving precious data. My Passport Ultra and My Passport for Mac portable drives are available today at select retailers, including Amazon (My Passport Ultra) and distributors. My Passport Ultra and My Passport for Mac have a Manufacturer’s Suggest Retail Price (MSRP) ranging from $79.99 up to $199.99 depending on capacity (3 TB capacity available next month). Both the My Passport Ultra and My Passport for Mac will offer a 3-year limited warranty. Terms and conditions of WD’s limited warranty may be found at support.wdc.com/warranty. WD Grip Pack accessories will be available in June and will have an MSRP of $12.99. B&H carries the new WD My Passport Ultra drives. 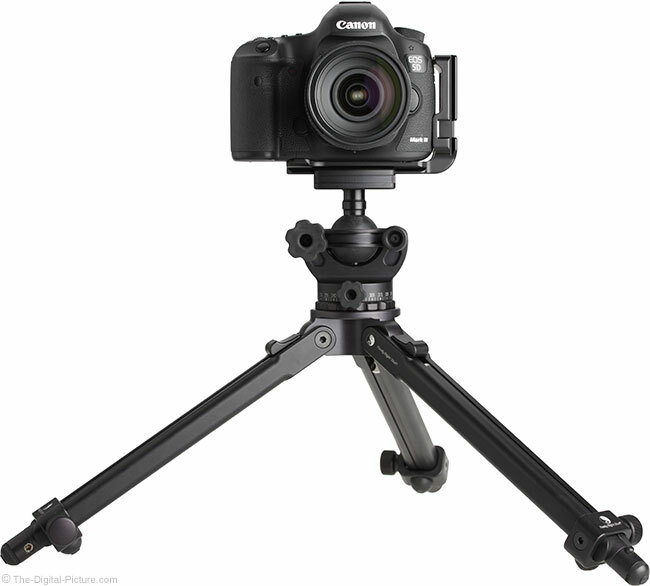 Atlanta, Ga. – May 26, 2015 – Photographers looking for a new way to help their clients See The Difference between professionals and amateurs need look no further than Professional Photographers of America (PPA). Consumers may not have all the necessary information to understand the difference between a professional and an amateur photographer. PPA’s See The Difference campaign shows consumers “the difference” when evaluating photographers. PPA photographers can also download free videos, logos, customizable brochures, and other educational materials to share with their clients. PPA has rolled out six new videos to help photographers educate their clients and prospects. Whether a photographer specializes in wedding, high school senior or family photography, these new videos will help consumers see the value in hiring a professional. #PhotoFail Wedding Video – Brides-to-be read true horror stories and talk about why it’s so important to use professional photographers to capture once-in-a-lifetime moments. Moments You Can’t Get Back Video – Real moms share heart-wrenching stories about their families and discuss how professional photographers helped them preserve family memories. See The Difference Professional Photographers Make Video – Real moms and newlyweds discuss the benefits of using PPA photographers and are surprised when their photographers walk in with framed photos from a recent session. High School Seniors Video – Real high school seniors explain what they are looking for in senior portraits and how hiring a professional photographer gave them great photographs! Wedding Video – Newlyweds talk about the importance of investing in professional photographers because at the end of their big day, their wedding photos were all they had left. Family Portraits Video – Real families talk about how their photographers captured their families’ unique personalities and the importance of preserving moments they will cherish forever. Learn more about how PPA photographers can leverage this campaign as well as what else PPA is doing to reach and educate consumers with See The Difference and consider joining PPA. MELVILLE, N.Y., May 27, 2015 - Canon U.S.A., Inc., a leader in digital imaging solutions, today announced that the Canon Experience Center, located in Costa Mesa, California, has been awarded LEED Gold certification, a recognition by the U.S. Green Building Council for the design, construction, operations and maintenance of high-performance green buildings. Officially opened in November 2014, this Center offers award-winning service and support to customers, clients and partners - ranging from repair operations, on-site educational programs and a nearly 5,000 square-foot state-of-the-art showroom that displays products ranging from the PowerShot family to the Cinema EOS lineup to large format imagePROGRAF printers. The 38,000 square-foot facility was renovated with environmentally conscious elements aimed to help secure the certification. "The Canon Experience Center is yet another example showcasing Canon U.S.A.'s ongoing commitment to sustainable and responsible buildings and operations," said Rick Fedrizzi, CEO and founding chair, U.S. Green Building Council. "By designing and constructing the building to LEED Gold, Canon continues to build on its legacy of looking to the future. Its investment in sustainable building today will pay dividends to all of us for years to come." Established by the U.S. Green Building Council, LEED, or Leadership in Energy & Environmental Design, is a green building rating system that recognizes buildings, homes and neighborhoods that are designed, constructed, operated and maintained to be environmentally responsible and resource efficient. The level of LEED certification earned is determined by the number of credits achieved in key areas within each of the LEED credit categories, including sustainable sites, water efficiency, energy and atmosphere, materials and resources, indoor environmental quality, and innovation and design process. More than 95 percent of the existing building was utilized to extend the life cycle of the standing building stock, conserve resources, reduce construction waste and reduce environmental impact during renovation. More than 75 percent of all construction waste was diverted from landfills through waste sorting and recycling. The use of native vegetation for landscaping helped reduce reliance on irrigation systems and reduced outdoor potable water consumption by over 50 percent. The use of efficient, low-flow plumbing fixtures throughout the space helped obtain a 40 percent indoor potable water savings. The facility uses 38 percent less energy than conventional buildings through the use of efficient lighting fixtures, motion sensors and an efficient HVAC system. "Canon is committed to helping to build a more sustainable environment for generations to come," said Yuichi Ishizuka, president and COO, Canon U.S.A., Inc. "We are proud to be recognized for our sustainable efforts and conduct operations with our customers in a facility that demonstrates this commitment." The Canon Experience Center joins two of Canon's other properties that have earned LEED ratings. Canon Americas Headquarters, located in Melville, New York is the largest commercial property on Long Island to achieve LEED Gold certification, and Canon's distribution center in Norcross, Georgia was awarded LEED v4 certification in the "Building Design and Construction - Warehouses and Distribution Centers" category - the first warehouse to receive this version of LEED. BCCI Construction spearheaded the renovation construction of the Canon Experience Center; Ware Malcomb was responsible for the architecture and interior design. For additional information about the facility and its offerings, visit usa.canon.com/cec.